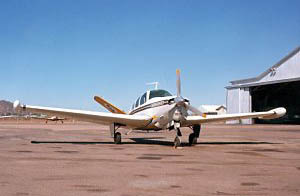 Beech Bonanza VH-CFV at Townsville in July 1974. 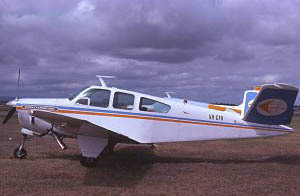 Note that the aircraft is wearing tip tanks. 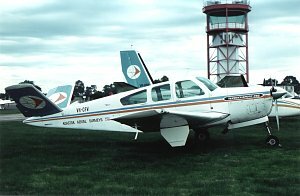 Beech Bonanza VH-CFV at Moorabbin in March 1976. Note the exhaust extension.